Special "You Gotta' Drive'em!" issue. 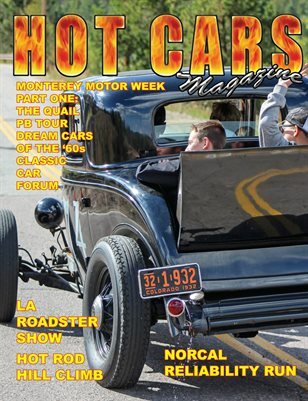 We take to the streets with the Northern California Reliability Run, Hot Rod Hill Climb, Pebble Beach Tour d'Elegance, and the LA Roadster's Show. We begin our Monterey Motor Week coverage with the Classic Car Forums, The Tour, and we take you inside "The Quail"! !